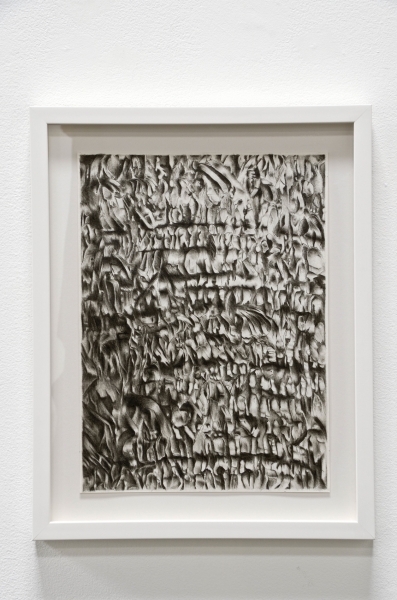 My “Palms” series of drawings are 1:1 renderings of the burnt bark of two palm trees on my Koreatown block. They burst into flames one night and were close enough to wake me. The burning palm tree, previously an icon of the Los Angeles Riots, was now an image that was very personal for me. 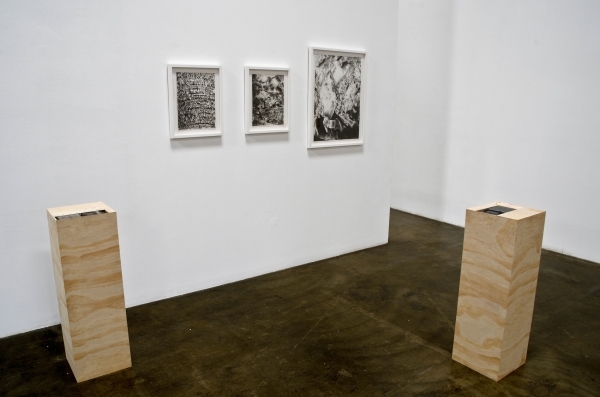 In this iteration these drawings are accompanied by two separate looped sound pieces, each housed on wooden pedestals (Chants, 2012); one of me recounting the palm tree fire and its affect on me, and the other is of an unknown neighbor’s muffled voice chanting nam myoho renge kyo. It roughly translates to “I fuse my life with the Mystic Law of cause and effect through sound vibration”. 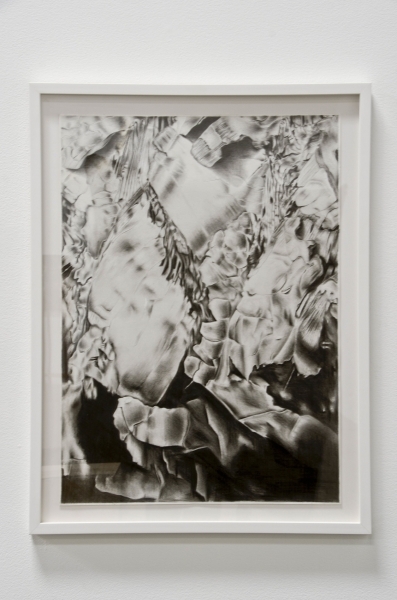 All drawings are graphite on paper and are part of the ongoing "Palms" series. Sculptures are made of wood, unique audio cassette, and cassette player. 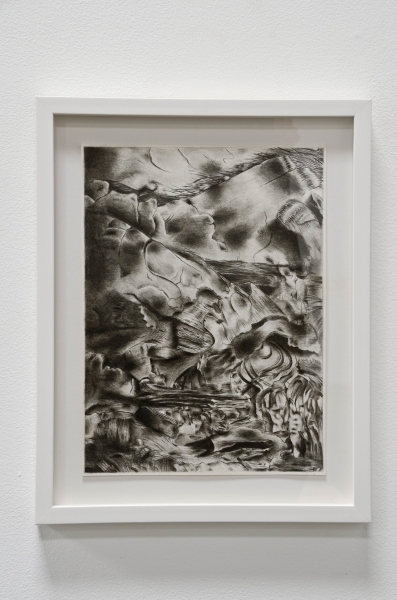 photos: "Echo Of Echo" at Shoshana Wayne Gallery. Photos by Gene Ogami.